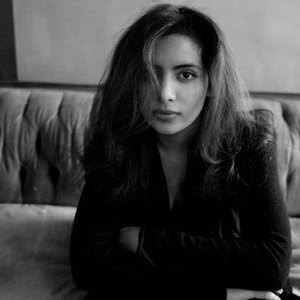 “There are so many different things you can do with music,” says singer/songwriter Nadia Kazmi, and if a consensus were to be gleaned from her debut, appropriately titled Arrival, that'd be a good one. Through the album’s diverse incarnations of rock, pop and distinctive shades of soul, Kazmi reflects the spectrum of her influences and creative range. In so doing, she also bears out her versatility as a vocalist, affecting both subtlety and raw power with unassuming confidence. And yet the crux of Arrival, and for that matter the crux of the artist, lay in a resonance of lyrical expression. With considered, well-crafted lines of imagery and metaphors, Kazmi evokes a rare sense of emotional purpose that makes her music all the more compelling. You have a particular appreciation for lyrics. Where does that come from? I think it’s because I started writing lyrics first. I’ve always written poetry. When I was five years old, I wrote a poem and, while my parents were out and I was with the babysitter, I recorded [it] on top of one of my mom’s favorite cassette tapes of another artist. She put it in one day and she was like, “What is this?” So I was quite creative when I was that young even… Another reason I concentrate on lyrics a lot is that many of my family members are poets. They write poetry in Urdu, which is my mother’s mother tongue. It’s the major language of Pakistan. My uncle and my grandfather are both published poets. I’m not saying it’s necessarily an innate ability. I don’t necessarily believe in innate abilities. But you grew up around people who appreciated language. When I was five I don’t think I had read or heard any poetry by any of my family members, but I chose that vehicle as my expression. It was immediate and automatic in some way. You also have a great appreciation for Leonard Cohen and his songwriting. He’s my favorite artist of all time…Actually, for my next album I’m doing Leonard Cohen songs. I know it’s been done before many times, but I’m trying to do something a little more interesting because I’m going to infuse it with that rock/soul element that I have for the rest of my stuff. So I’m really going to change the songs quite a lot. Have you decided what songs you’re covering? I have decided on a few of them. I think right now—of course, it’s a working title—I’m going to call the album Stranger’s Song. And I’m definitely going to do “I’m Your Man”—I don’t think a lot of females have done that song—“Hey That’s No Way To Say Goodbye,” “Waiting For The Miracle,” and also “Ain’t No Cure For Love,” but I’m going to do a real soul/gospel/rock version of it because I think it lends itself to that. The whole album will be Cohen? It will be all Cohen. And it’ll be, like, “Leonard Cohen Rocks,” because they’re all going to be rock tunes. They’re all going to be very high-energy. I think there’s only going to be one or two that I’m going to do as true ballads, but I’ll pick songs he didn’t really use as ballads and then do very slow, intimate takes on them. [Laughs] Well, I don’t necessarily spend ten years working on a song, but I do go back a lot and I spend a lot of time on my lyrics. I’ll sit in my room or in the coffeeshop just working on lyrics strictly before I head to the piano. So I always want to have the lyrics fully done before I go to the piano or the guitar and start working out. Even if I have a melody in my mind, I really want to have the structure of the verses and the choruses decided before I do that. Sometimes, now lately, I will go to the keyboard or guitar once I have one verse, one chorus, but not until then usually. And I do definitely work my lyrics over and over… I get an inspiration for a lyric. I usually record it immediately into a voice recorder or my iPhone now. And then I’ll take it the next day and I’ll start working through it. But if it doesn’t strike, I leave it; I leave that song aside and work on something else. Because I don’t feel like you can continuously work something if the inspiration isn’t coming. What was your creative ambition for Arrival? It’s an eclectic album. That album was inspired by all the artists that I love. I said, “Why can’t you have Leonard Cohen’s poetry mixed with the rock ‘n’ roll of the Rolling Stones and the soul ambitions of Stevie Wonder?” You can have all of those things because they’re not actually that far apart… I’m also very influenced by Queen. Freddie Mercury’s voice is very inspiring to me. If you collect all of these very different artists, such as Leonard Cohen, Bob Dylan, Queen, Stevie Wonder, and mix them all together, that was my intention for the last album. I hear a bit of Prince in the album too. Yes, definitely, because Prince already does that. He already [mixes] the soul and the rock—I mean, he plays 13 instruments or whatever—so he really can create the sound he hears in his mind. Which I would love to do in the future and that’s why I’m trying to brush up on my guitar playing, my piano playing, so that maybe five years from now I can create the exact guitar line that I want and the exact keys line that I want to have in there. Right now I have to rely on somebody else’s understanding of what I’m aiming for there. Is it a challenge then, as a songwriter, to not always be able to flesh it out as it sounds in your mind? It definitely is a challenge. And you have to find people who gel with you, but [are] also at the level that you’re at… The band that I work with in New York, though, is really incredible. If I say anything, they always figure out a way to bring it out. The previous album was really the producers and I who really worked together to create all those sounds, but [on] the next album I would like to flesh it out a lot with my band so we can work through different options. The last album was a learning experience because I was very new and I would try to put my foot down about certain things, but I gave a lot of deference to the producers. On the next album I’m going to have a lot more say. For more information on Nadia Kazmi, including future live dates and their locations, please the artist's official website as well as her Facebook fan page.